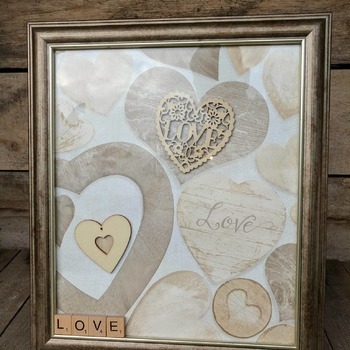 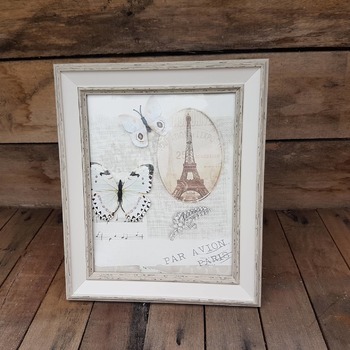 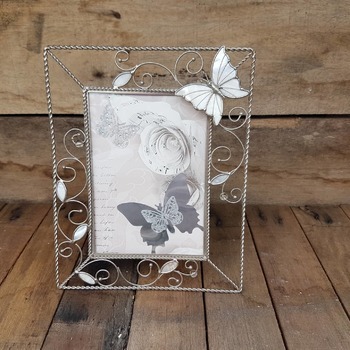 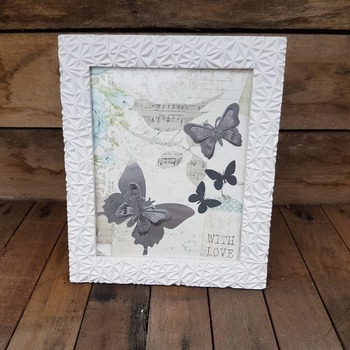 Lovely handcrafted framed butterfly picture. 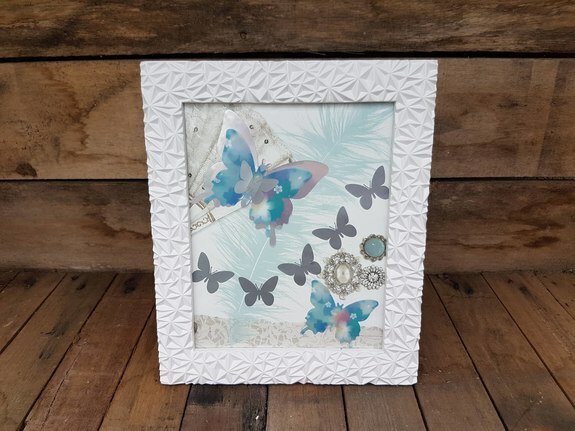 The butterflies are a mix of silver and floral turquoise. 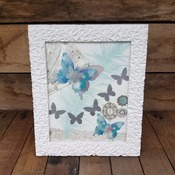 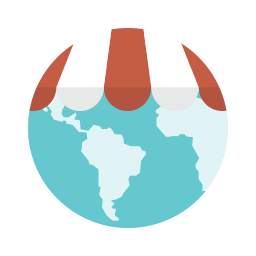 The background is white with an aqua feather and a lace fan. 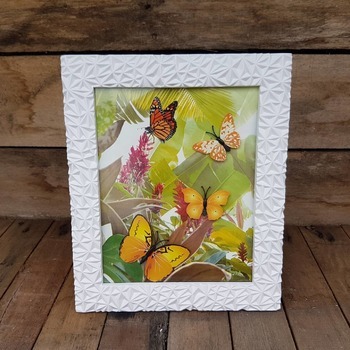 Unusual textured white plastic frame measuring 12" x 10". 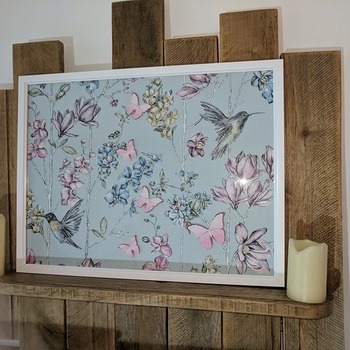 The frame has an arm so can be stood up.